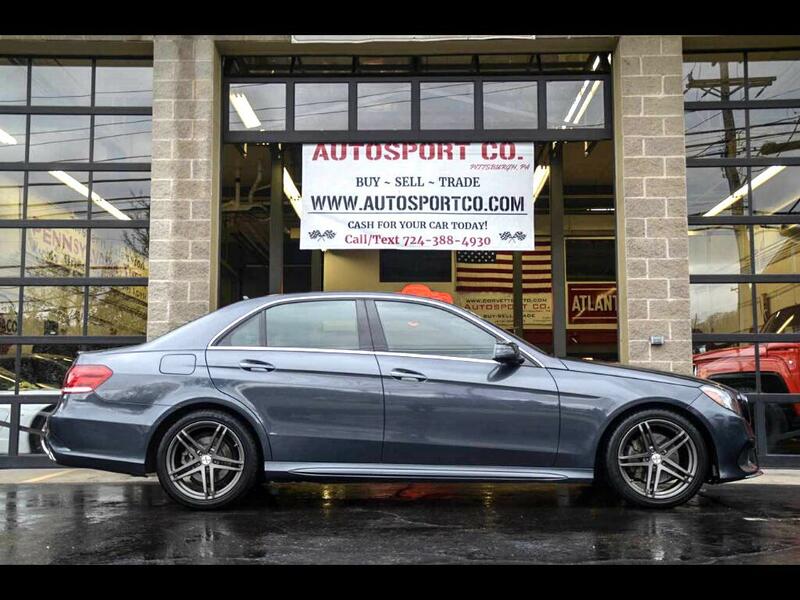 Used 2014 Mercedes-Benz E-Class E350 4MATIC Sedan for Sale in Indiana PA 15701 AutoSport Co. Offered for sale is a Clean Carfax, 2 Owner 2014 Mercedes Benz E350 4MATIC w/AMG Sport Pkg. and only 60k miles and brand new tires! This All Wheel Drive 2014 Mercedes is in excellent condition both inside and out and is a blast to drive. The dark gray exterior of this E350 shows great with no abnormal wear for it age, likewise the wheels are in great condition and we just had brand new tires installed on them. The black leather interior shows great with only minimal wear present shown and the dash area and console all show very nice as well! In addition this 2014 Mercedes Benz E350 4MATIC is loaded up with features such as: Clean Carfax, AMG Sport Package (Sport Tuned Suspension, Additional Body Cladding, Paddle Shift,etc) , Brand New Tires, Factory Navigation System, Reverse/Backup Camera, Heated Leather Seats, Bluetooth System, Aftermarket Wheels, Factory Sunroof, Power Rear Shade, Paddle Shifts on Steering Wheel, AM/FM/CD/AUX Player, Owners Manual, Current PA Inspections and much more!! For more information on this 2014 Mercedes Benz E350 4Matic Sedan feel free to call Anthony at 724-388-4930. This vehicle is located at our Pittsburgh location. Thank you for your interest.